Alfalfa leaf contains a broad spectrum of nutrients, including considerable quantities of protein, trace mineral and vitamins, dietary fiber and chlorophyll, which serves as an antioxidant in the bloodstream. The deep root system absorbs minerals from the soil resulting in a plant rich in vitamins and minerals and a great source of fiber and protein. Alfalfa leaf is rich in protein and vitamins A, D, E, and K. Alfalfa extract is a good source of chlorophyll and carotene. It is important to insist on certified organic alfalfa, since the plant concentrates cadmium, copper, lead, nickel, and zinc when it is grown in contaminated soils. The leaves contain eight essential amino acids. Alfalfa sprouts are a staple of salads and contain nutrients, but the leaves hold the best healing potential. Preparation Methods & Dosage :Alfalfa can be taken in capsules, teas or eaten as fresh raw sprouts that have been rinsed thoroughly to remove mold. 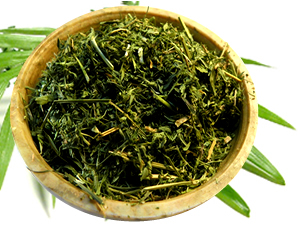 Alfalfa tea is mild and good tasting, and blends well with many other tonic herbs like nettle, mints, and citrus. Alfalfa Side Effects: If you have lupus or are in remission, you shouldn't consume alfalfa seeds. 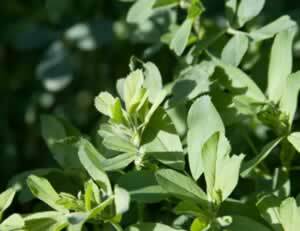 Use alfalfa only during its prebloom stages of growth. Alfalfa seeds should never be eaten unless sprouted because they contain high levels of the toxic amino acid canavanine. Preferred Habitat:It is not picky as to soil, but it does prefer full sun and regular watering. The aerial (aboveground) parts of the plant are used in herbal medicine. Alfalfa is believed to have the power to bring good fortune in matters of money, business and good luck in gambling. This symbolism may stem from its use as a high quality hay that keeps animals fed in times of want. 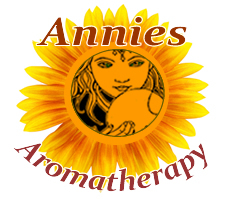 James, Ph.D.. "The Green Pharmacy Herbal Handbook" Rodale Books, (2000) Alfalfa contains plant world equivalents of human estrogen, so a woman, whether she is going through menopause or breastfeeding a baby, may derive some benefit from it.